Researchers at Boston University say it's important not to over-interpret results from a study of former NHL enforcer Derek Boogaard's brain that show early signs of a neurodegenerative disease linked to repeated brain trauma. 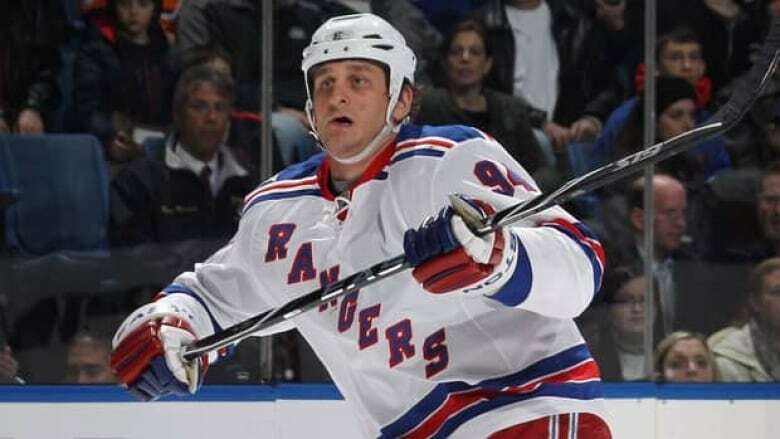 The discovery that former NHL enforcer Derek Boogaard's brain shows signs of a neurodegenerative disease linked to repeated head trauma is further evidence that major changes in the game are needed to protect players' health, a brain injury expert says. "I think the Boogaard case makes it more urgent for organized hockey to take additional steps to reduce hits to the head, and fighting is one of the recognized causes of hits to the head," said Toronto neurosurgeon Dr. Charles Tator, founder of ThinkFirst Canada, a national organization for the prevention of brain and spinal cord injuries. "We have been calling for a cultural shift in professional hockey, so that fighting and hits to the head are reduced to a minimum," Tator said Tuesday. "And there are ways to do that." Boogaard was 28 when he died in May of an accidental overdose of alcohol and the painkiller oxycodone. His family donated his brain to a Boston University centre for post-mortem examination. Researchers at the centre found clear evidence of the progressively destructive brain disease known as chronic traumatic encephalopathy, or CTE. The condition, which can only be diagnosed by examining brain tissue after a person's death, has been linked to a host of mood and behavioural changes, including depression, memory problems and aggression. In later stages, CTE can result in severe dementia in some people. While the signs of early-stage CTE were present in Boogaard's brain, the U.S. researchers were cautious about their findings in a report Tuesday. "It is important not to overinterpret the finding of early CTE in Derek Boogaard," said Dr. Robert Cantu, co-director of the Center for the Study of Traumatic Encephalopathy. "However, based on the small sample of enforcers we have studied, it is possible that frequently engaging in fist fights as a hockey player may put one at increased risk for this degenerative brain disease." NHL deputy commissioner Bill Daly agreed with Cantu that the information from the Boogaard report is disturbing, but still in its early stages. "It's a relevant and concerning finding, but it's also a new and developing science with the lack of any real control group against which to compare the findings," Daly told CBC News. "We believe it would be premature and inappropriate to draw further conclusions and causal connections at this point." In 277 NHL games, Boogaard scored three goals, had 589 penalty minutes and reportedly participated in 61 regular season fights, according to the Boston University report. He reportedly fought 174 times during his professional hockey career. Boogaard had not played since Dec. 9, 2010, due to fight-related injuries, including a reported concussion. The university said his family had reported that Boogaard had "seen stars" in a game two weeks before his final game. Twice diagnosed with post-concussion syndrome, he had also spoken of having his "bell rung" at least 20 times. For two years prior to his death, the Saskatchewan-raised enforcer had other problems, the report said — drug addiction, emotional instability and problems with impulse control, along with short-term memory problems and disorientation. That background clouds his case. "Boogaard's clinical history was complex, so it is unclear as to if or how much CTE contributed to his behaviour, addiction or death," said Dr. Robert Stern, co-director of the brains study centre and a professor of neurology and neurosurgery at Boston University. "However, CTE appears to be a progressive disease in some individuals, so even if it was not directly affecting Boogaard's quality of life and overall functioning before he died, it is possible it could have in the future." Boogaard was diagnosed with mild CTE by neuropathologist Dr. Ann McKee, director of the CTE brain bank located at the Bedford VA Medical Center. His brain showed evidence of early CTE in the cerebral cortex, although the severity of changes was more advanced than most other athletes of similar age with CTE examined by McKee. "Unfortunately this finding does not contribute to our knowledge of the risks of normal hockey play for most participants, as very few hockey players engage in as many fights as Boogaard," said study centre co-director Chris Nowinski. Nowinski said two other young non-NHL professional hockey players studied did not show signs of CTE at post-mortem examination. "Athletes and parents should know that anyone who experiences repetitive brain trauma may be at risk to develop CTE, but we are hopeful that risk is small in hockey." Tator said the Boston report is preliminary and he hopes to see a more detailed analysis published in a medical journal. But the discovery that Boogaard's brain contained deposits of a protein, called tau, known to be related to the development of dementia, "does ratchet up the concern another notch that repeated blows to the head can cause brain degeneration," he said. While much more research is needed — including the studies of many more athletes' brains — the signs of CTE in Boogaard should be a red flag for youngsters and their parents, Tator stressed. "My view is the role of the enforcer should be eliminated and no young person should aspire to get into the NHL by assuming the role of an enforcer. "They are putting themselves at major risks. So this should be a warning to those who encourage the role of enforcer and those who play the role of enforcer that what you're doing is setting people up — even yourself — for a life of despair, of depression, of memory loss, of movement disorders." McKee has completed the analysis of the brains of more than 70 former athletes — more than 50 have shown evidence of CTE, including 14 of 15 former NFL players, as well as college and high school football players, other hockey players, pro wrestlers and boxers. Early evidence of CTE has been found in individuals as young as 17. The Boogaard family requested that the diagnosis be made public. A full report of Boogaard's brain tissue analysis is embargoed pending publication of the study in an academic medical journal. Are NHL enforcers' addictions, depression a result of on-ice brain trauma?